Creating the perfect post doesn't happen overnight, so as new bloggers, please keep in mind that blogging is a work in progress. 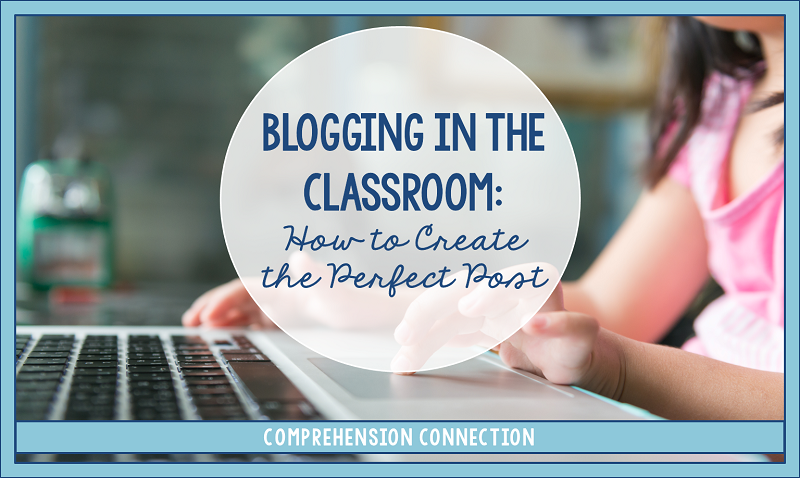 If you are blogging in the classroom, your posts won't need to be pin perfect, and some of what I share won't even be necessary for classroom blogging. Over the past five years, I have learned quite a bit though (and there's more I want to learn), and for me, that's one of the things I love most about blogging. We have the opportunity to learn something new through the whole process. Certainly in this post, I won't be able to share all I know, but let's get started and see where the post goes. If you have questions, you can always ask them in the comments or in the questions form to the right. There are many things we can do with text to help our readers make sense of the key points we're sharing. If you think about books you've read, anchor charts used in a classroom, or about articles you see on internet, they all have illustrations, photos, charts or graphs, headings, bold print, or italics that point out the big ideas and important details. As writers, we need to break up the important points using the tools included with our blogging platforms. Below, I've added a screenshot of the editing tools included with blogger and will explain how to best use them. Now there are some text commands that are very clear and easy to understand. I took a screenshot of my blogging page. When you are creating your post, you type it just like you would in Microsoft Word. You use the compose mode when you're typing. The HTML mode is complicated, and until you know and understand a little with HTML code, I would not mess with that mode. Below the blogging mode tab, you see the row of formatting tools. The back arrow is the reverse or undo button. (handy at times, but you can always use control Z to undo your last move or recover text too. Next is the F with the down arrow. The F stands for font, and the blog has a default font chosen, so I seldom use that button. I like to be consistent with my blogging font, and you will too. Next is the font size button. This is another I seldom use. I prefer instead to use headings, subheadings, minor headings, and normal for font size changes. 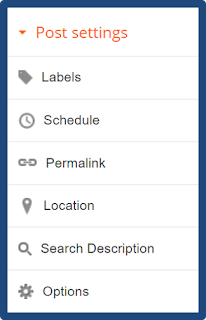 (the dropdown menu where it says normal) Using the size tab can cause formatting issues, and you want to avoid that. When I first started blogging, I did not realize this issue, and now I'm revising posts to fix the problem I created. By using headings and subheadings, we break up the text and add some white space. This has been proven to focus attention on the big points versus having the post read like a novel, so remember...do not change the font or use the font size tab. The next six formatting tools are the bold, italics, underline, strike, font color, and highlight tools. These tools are found in all word processing software, and they work the same. In the fifth column of tools, you'll see link, a photo, a clapboard, a smile, and a torn paper. The link icon is used to hyperlink text or images. To add links, you'll highlight either the text or image and then click the link button. You will have to do it twice on the image (strange blogger issue) and save. For images, there is one more important step and that is to add alternative texts for the pinterest description. When the image is pinned, it will pull in just the blog post title. We typically want more than that for our descriptions, but most people don't take the time to add the information. 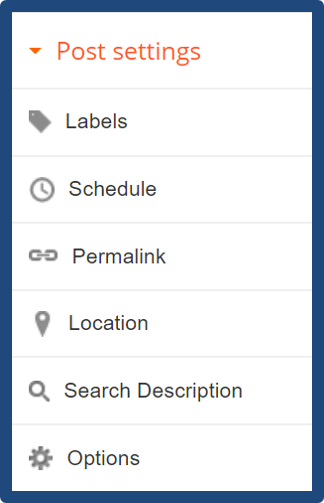 In the pin to the right, the top description comes from the "search desciption" (right side of blogging page). The bottom description comes from the Alt Text blocks. I type the same message in both lines and save the image. Also, when I type up the Alt Text lines, I set my image size to medium or large or xl. I seldom use the small tab. I find the images are too small to really be seen. Finally the last thing with images is to practice clicking and dragging them. You do not have to put all images in the center. If you notice above, my image is right justified and the text floats around it. With the blog template I have (Georgia Lou Designs), photos set to "original size" fill the blog space. The title image at the top is set to original size, and the blog template makes it automatically fit into the space. I highly recommend the Georgia Lou templates. They are very reasonable, and the installation of them is so easy to follow with video clips which guided you step by step. The clapboard is the icon you use to add videos you've taken. You upload them just like you do photos...from your computer or from Youtube. Videos have to be less than 100 mb in size and can be an mp4, mov, or wvm file type. Small clips are definitely best, and if you take a video with your phone, it would most likely be fine as long as it isn't too long. Blogger just added the option of emojis, and I love useing them. You can add things like checkboxes or use them as icons in front of a checklist or to just add personality at the end of a sentence. 😎 Now, one thing you can do with the emojis is change the size of them using the font size button. Simply highlight them and change the size. Please note though that it will also change the size of the font after the emoji too, so use that trick sparingly. Why use them? Well, here's where they are important. If you go to my home page, you'll notice the "read more" buttons. Those show up where I have a page break. Without the break, I'd have just one post showing up on my home page because they are longer. Instead, it's better to show previous posts too. Think about this series for a minute. 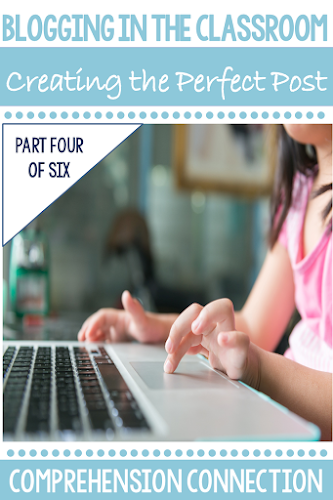 You can see the three previous posts and know that you can start at the beginning to have a full understanding of blogging in the classroom. The last column of tools above are used to organize the paragraphs. The first tab is used to left justify, center, or right justify your paragraphs. You'll notice most of the headings and subheadings I've chosen are left justified, but I could have easily centered my main headings. I did change the headings and subheadings to a dark blue to match my blog's color scheme, and many people do that just for branding purposes. One important thing to note though is that after you hit enter, be sure to change the color back to black for your text. Otherwise, it would have continued to be dark blue! Personally, I like the cleaner look of the manual quote, but you may not. Next to the quote icon, you'll see the T with the x over it. This is the "remove formatting" tab. If you type up a post in MS Word or want to copy/paste text from another file, you will want to use this button. Inserting anything from another file is doable, but it adds a TON of unnecessary HTML code to the post. Why is this an issue? Well, it leads to a very slow load time. I recommend that you always generate your posts in Blogger or the platform you choose. Now, if you're running a classroom blog, you may opt to have your kids type information up in Google Docs or Word and email it to you. Again, this is fine. Just make sure you remove the formatting and edit it in Blogger. This is a life changer! You can set the date and time you'd like your post to go live. That means you can begin a post and come back to it to finish it later OR publish it at a time when you'd likely have a lot of readers. For the location block, I leave that blank. Personnally, I think that information is best left undefined. This block is another very important part if you want your post to get seen, but really not important for classroom blogging. For teacher bloggers, the description should be just a sentence or two that tell the main idea of your blog post. In the description, you want to include words that will be picked up on search engines, so put a little thought into what you want to say. Keep it concise and focused. In the last block, there are setting options. Honestly, I haven't looked at that section much until writing this post, so I just discovered that this is where you can turn commenting on and off. There are some instances where you might want to do this, so now you know how. Well, we've reached the end of line, and if you're interested in learning a little more, here are the links to the other posts I've done on blogging. I really recommend skimming through each even if you have a little blogging experience. Every post I read on blogging, apps, video, or other tech topic I'm interested in, I learn something new or it gets me thinking in a new direction. If you are blogging with your students, you may want to share the links, use them for modeling, or review them to form your key teaching points. Now remember, your posts will not be perfect right from the beginning, but keep in mind that blogging is a new adventure. Think of blogging as a blank canvas where you can share your craft, extend learning in your classroom, teach and learn a little design, and most importantly, explore creativity. 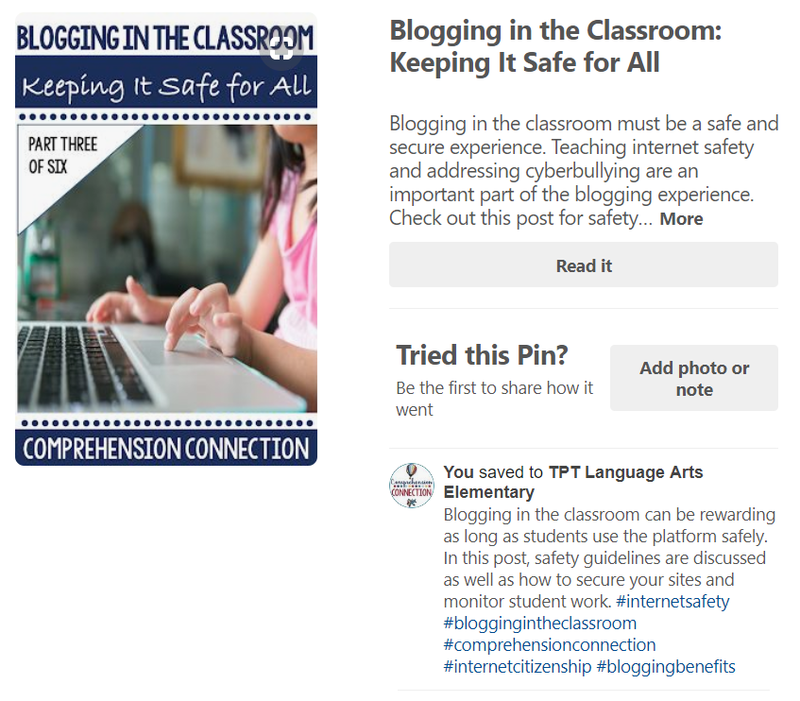 Blogging in the classroom deepens learning, informs teaching, helps us be thoughtful about how and what we are teaching, and provides a new and different method of sharing/learning information.